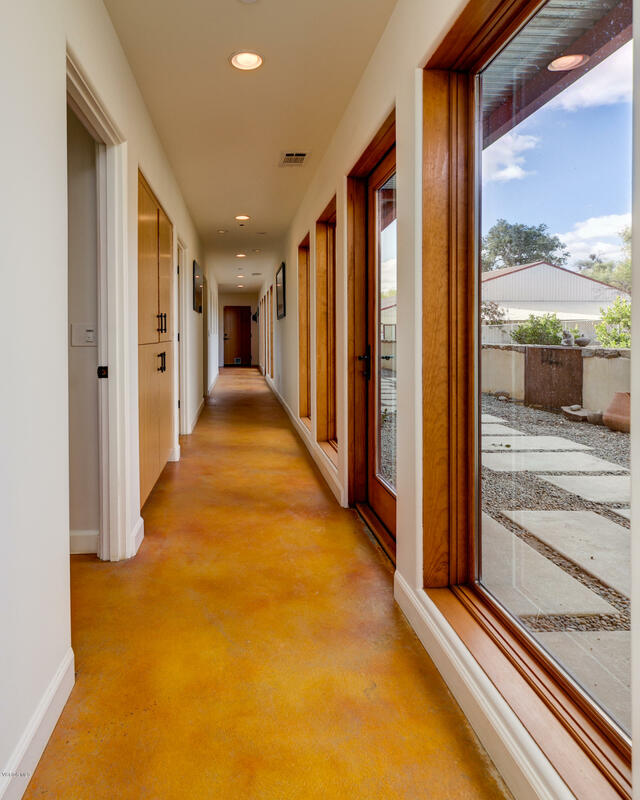 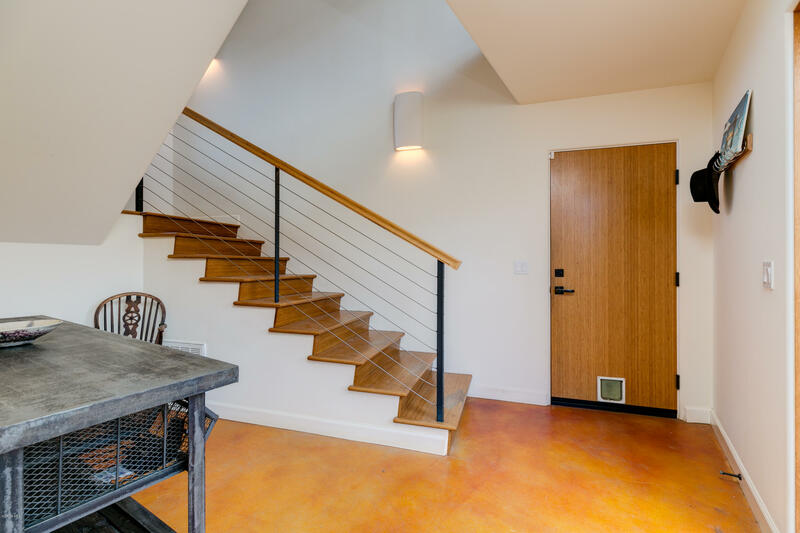 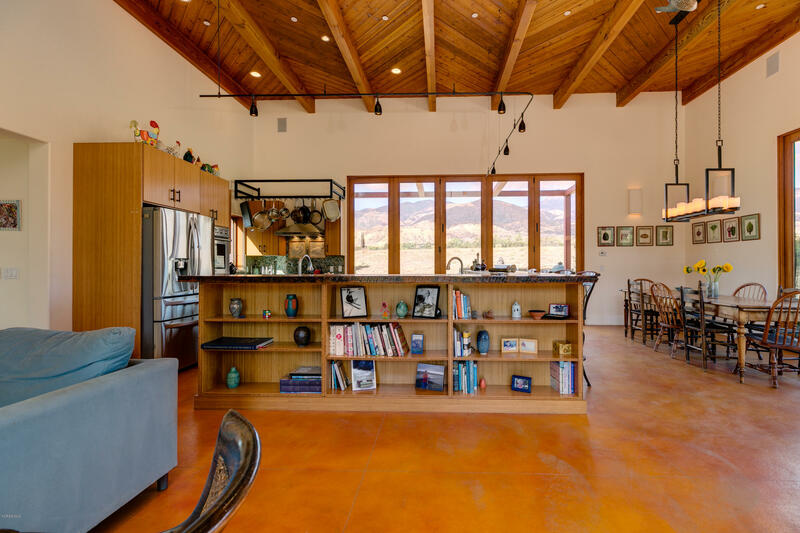 This home's modern farmhouse architecture designed by Tim Wallace brings to mind the rustic vineyard estates of Napa Valley. 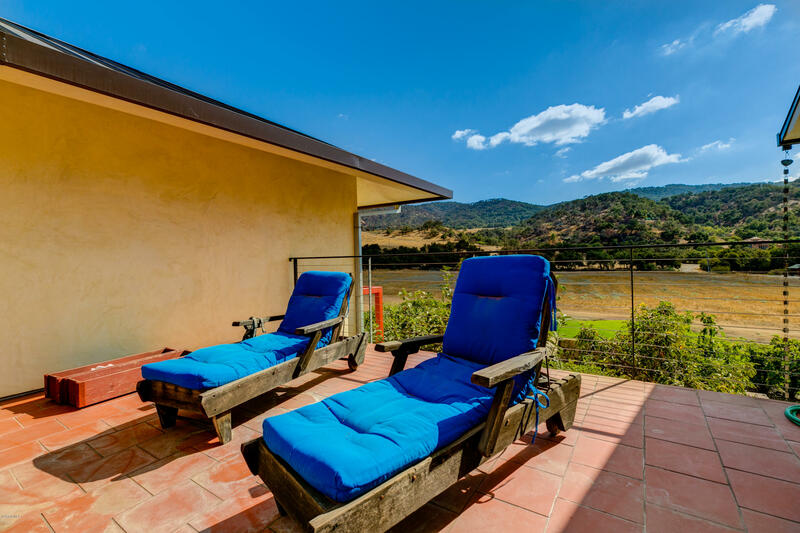 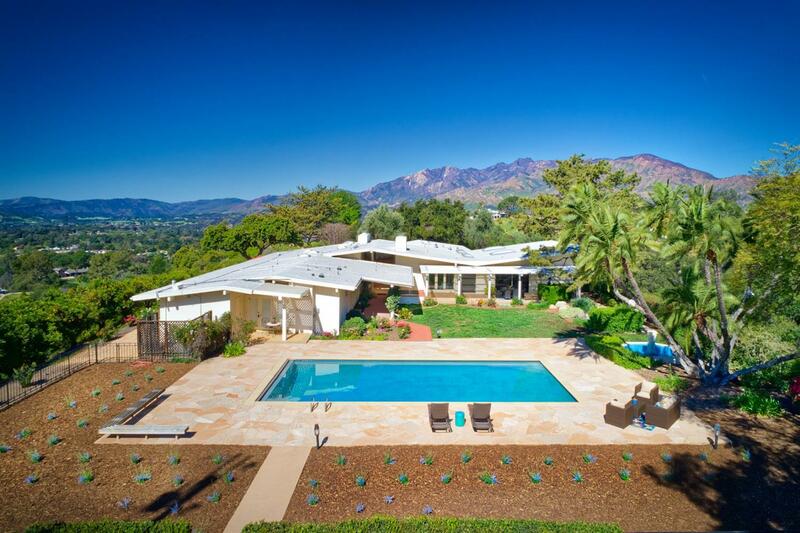 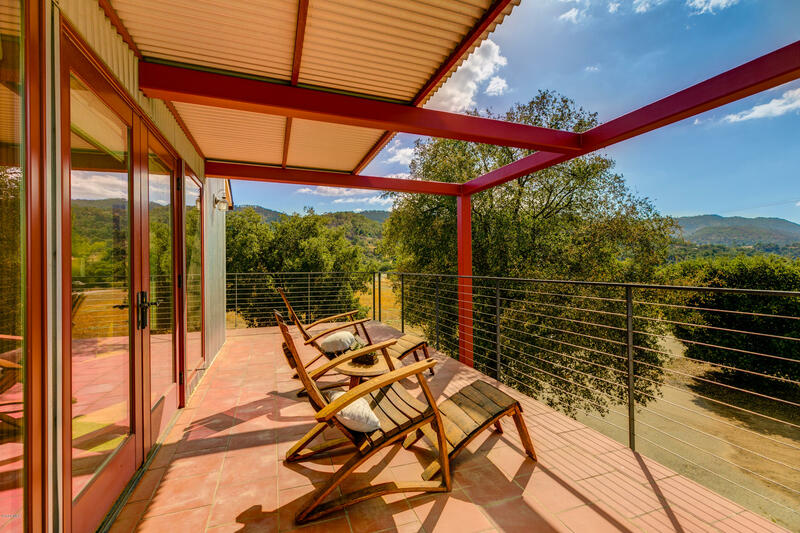 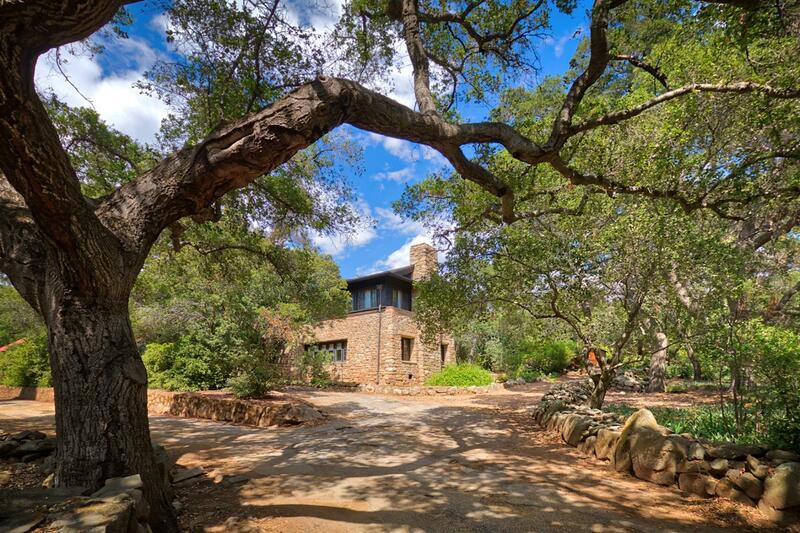 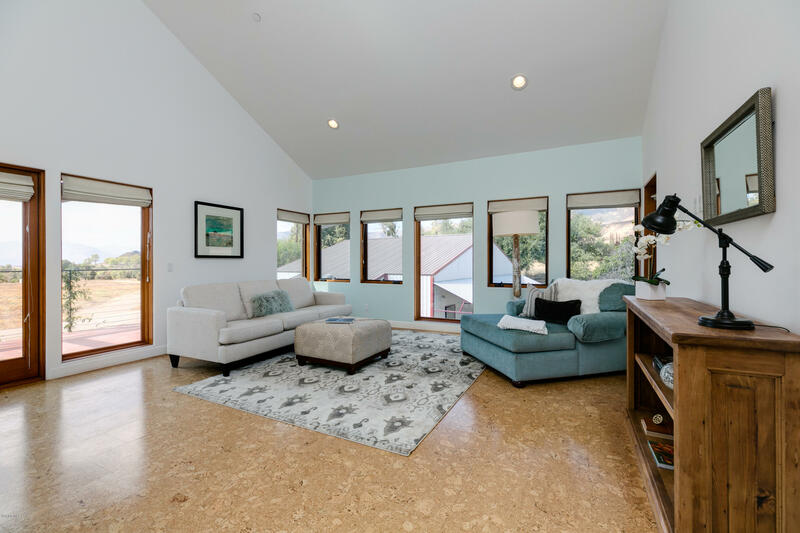 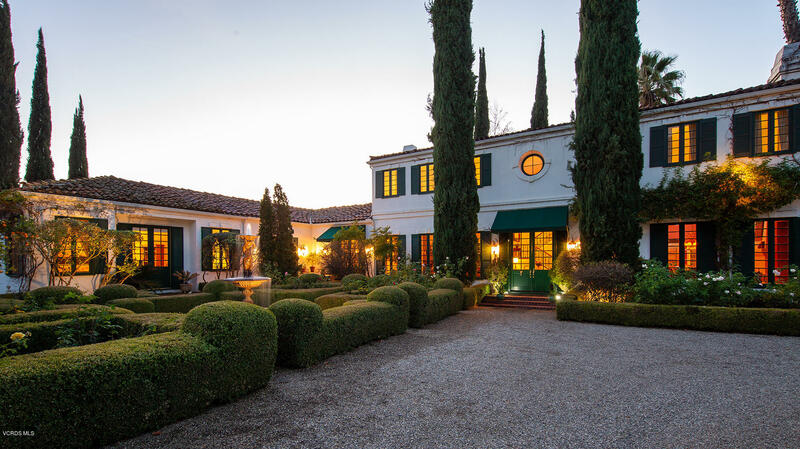 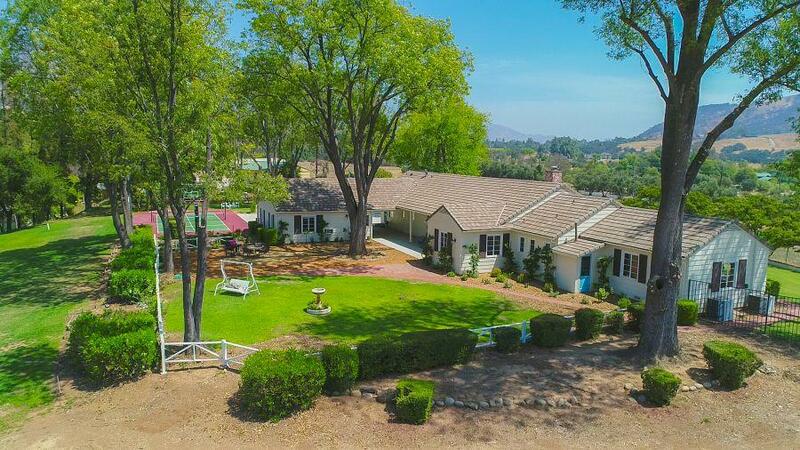 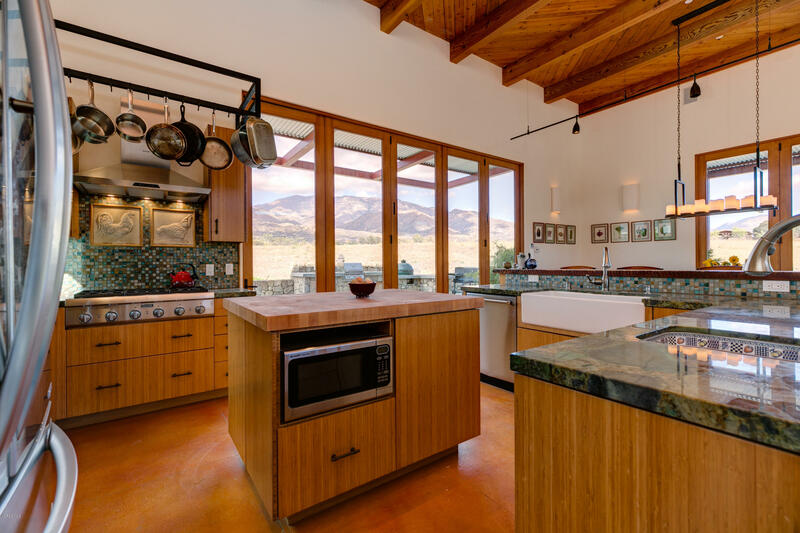 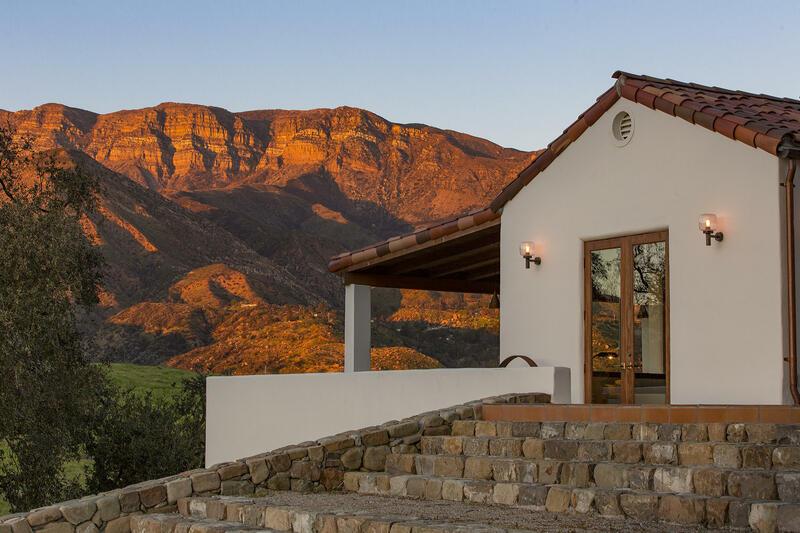 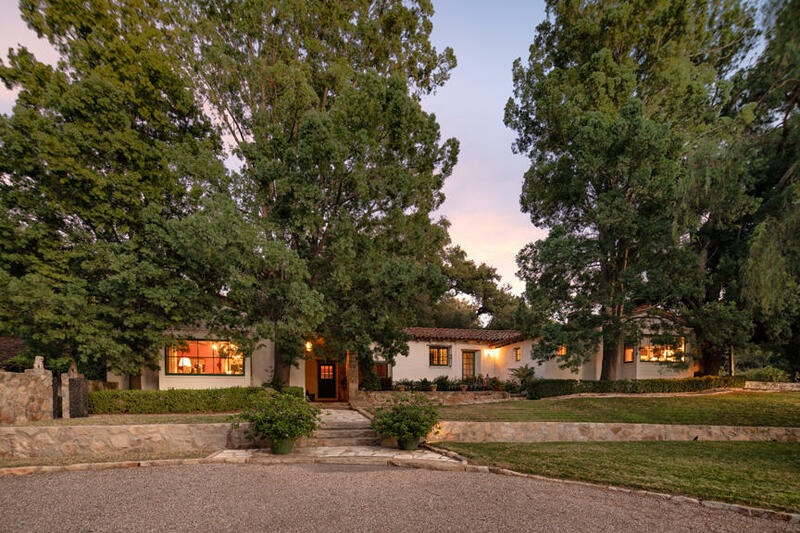 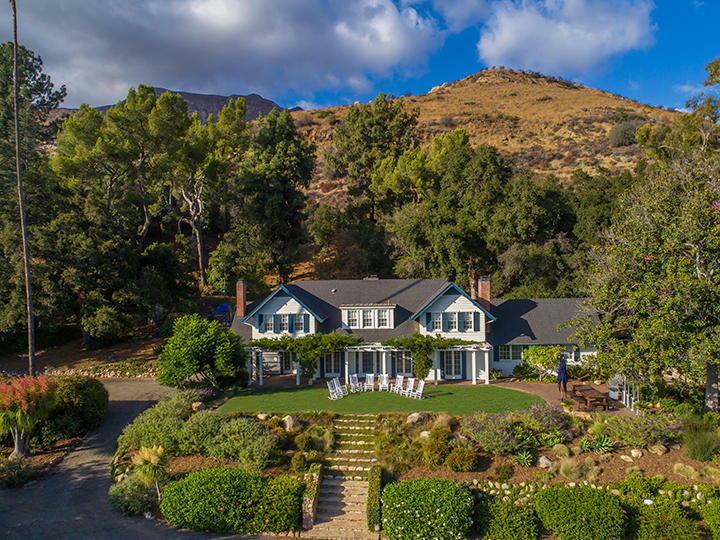 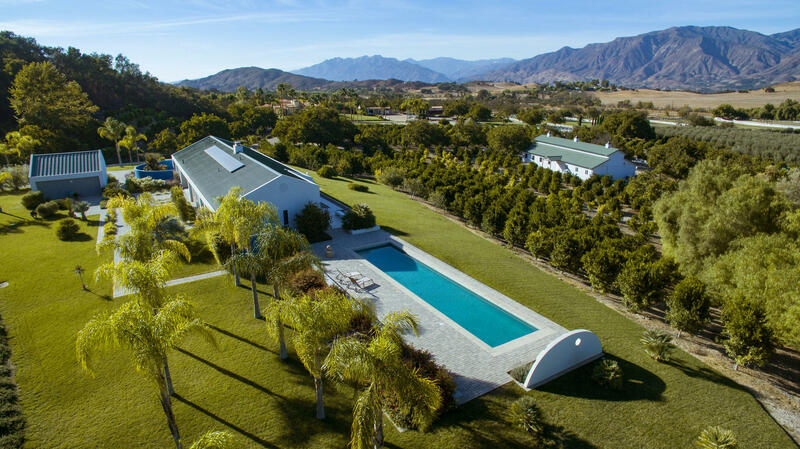 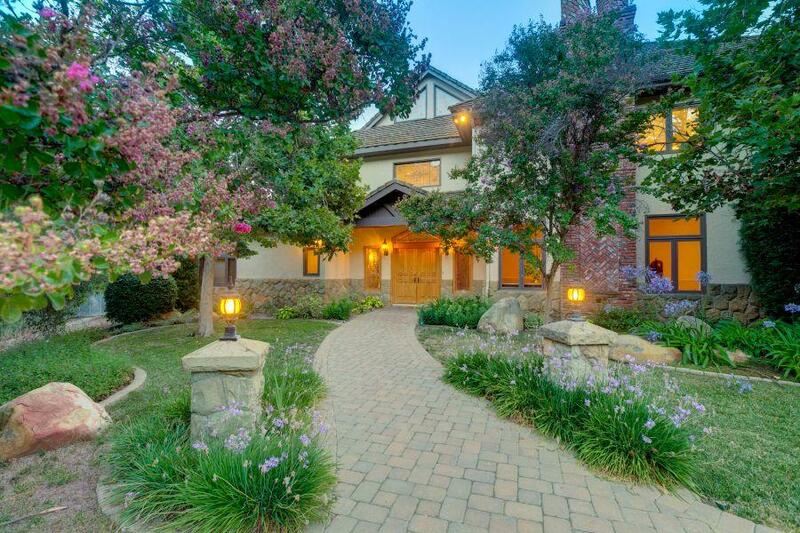 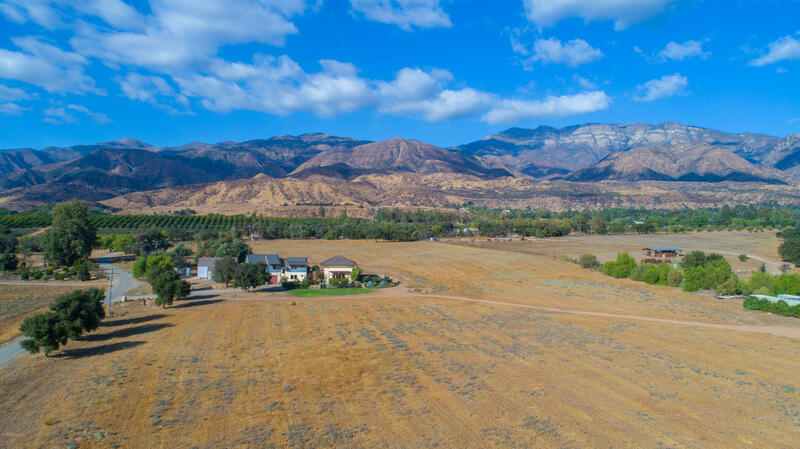 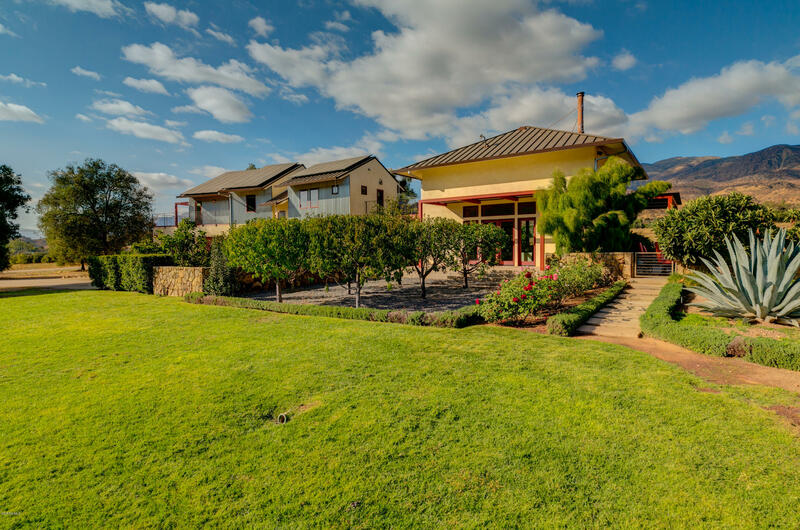 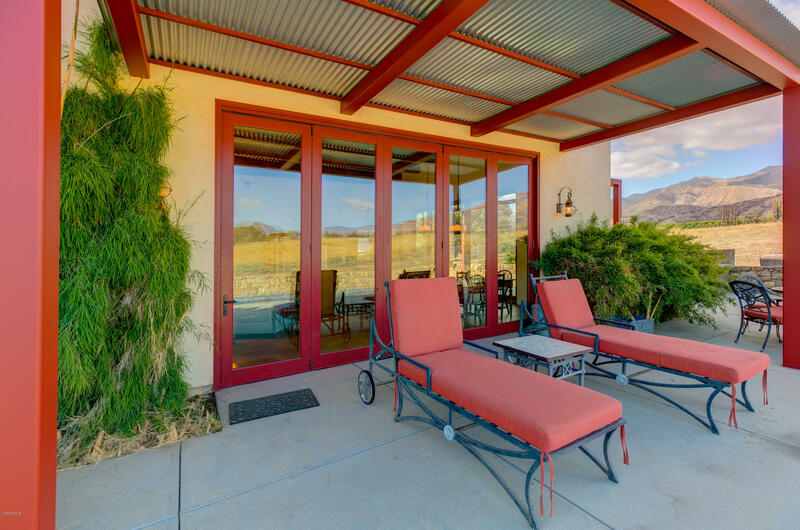 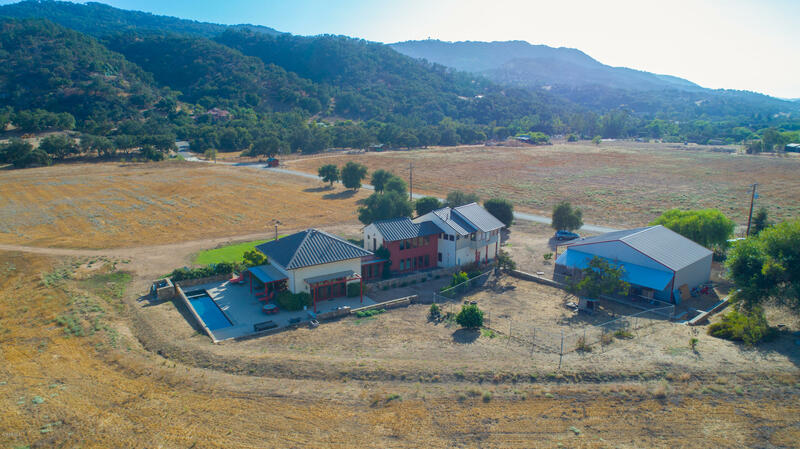 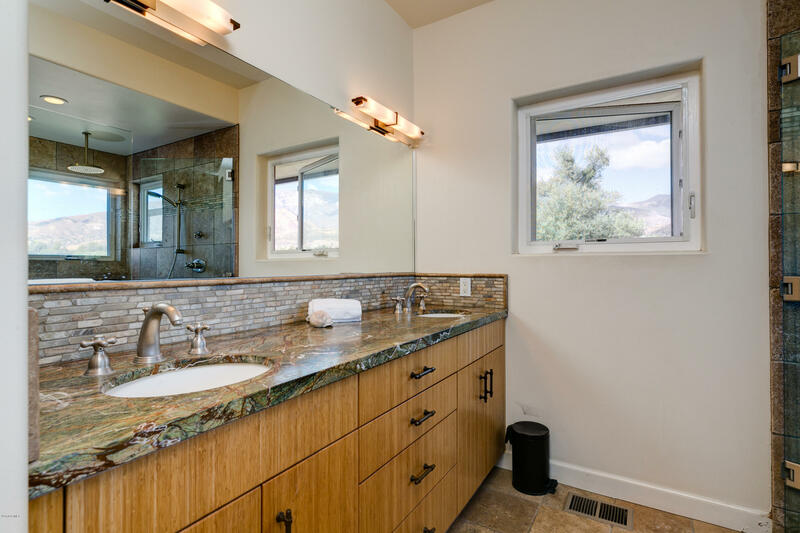 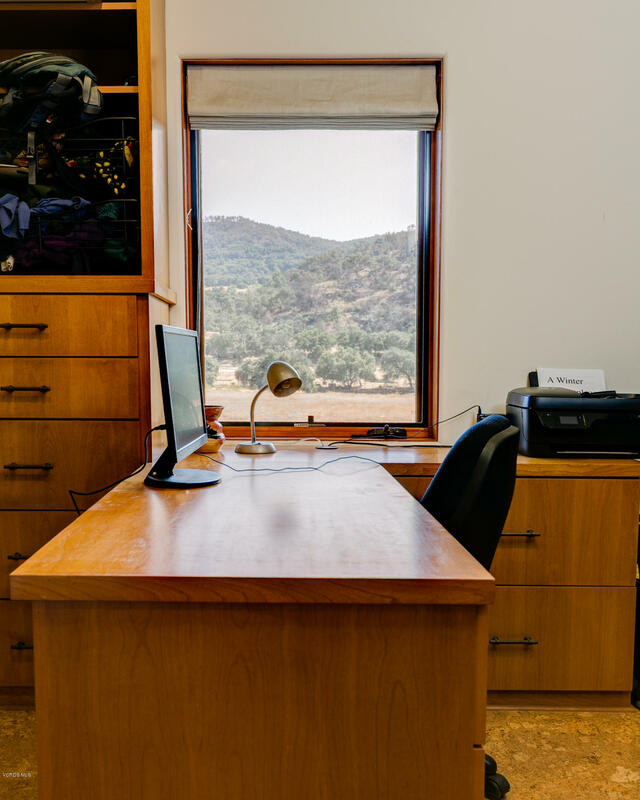 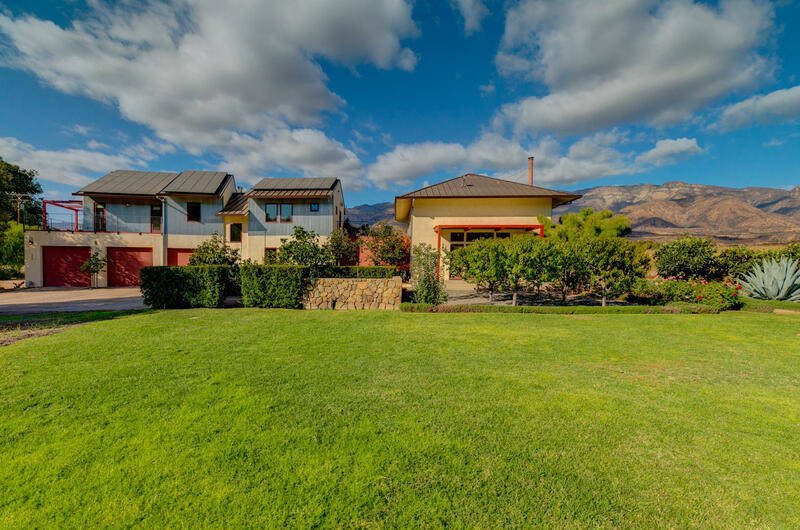 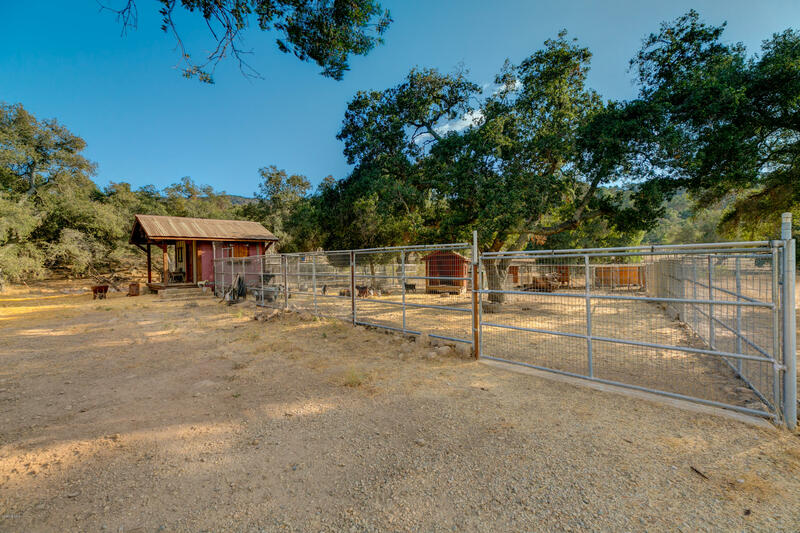 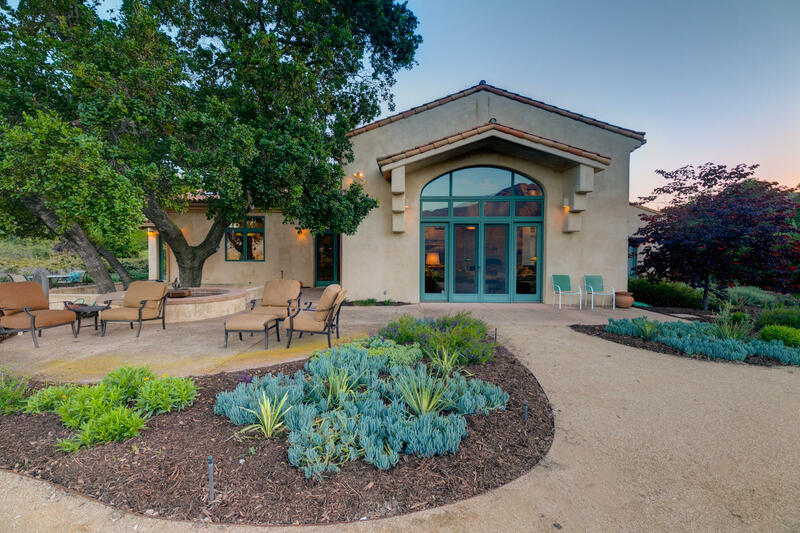 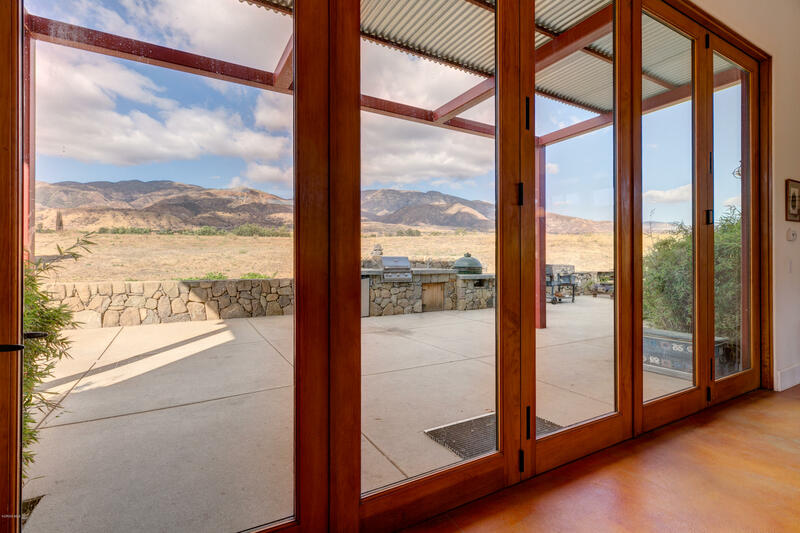 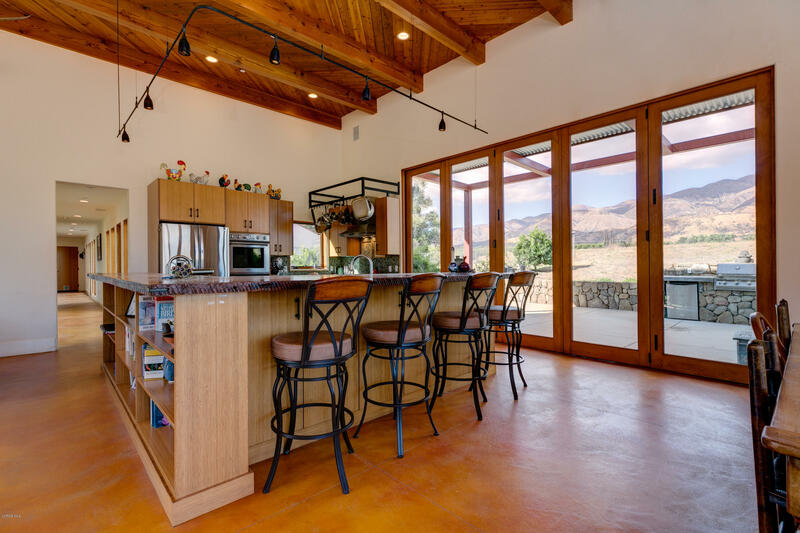 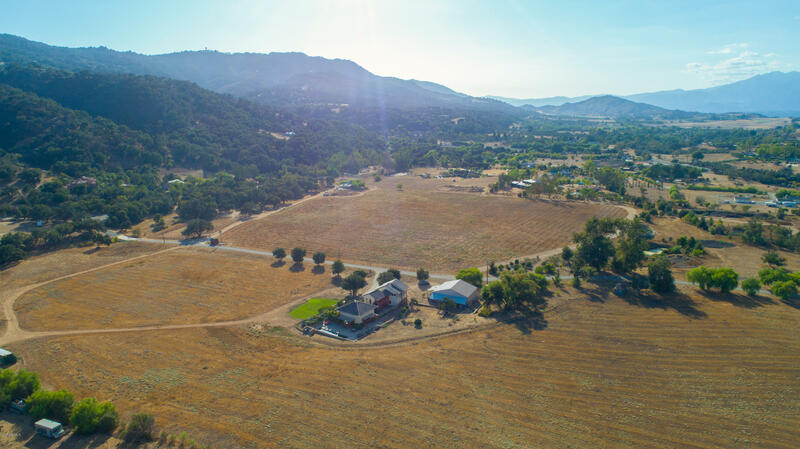 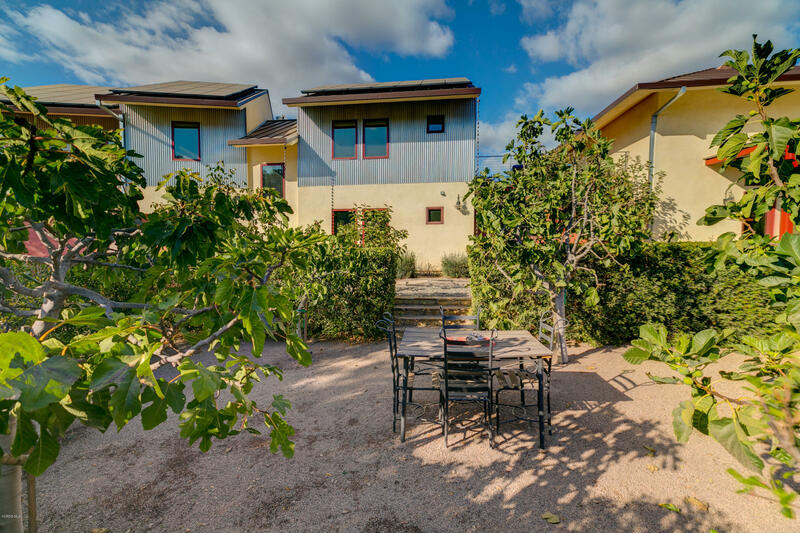 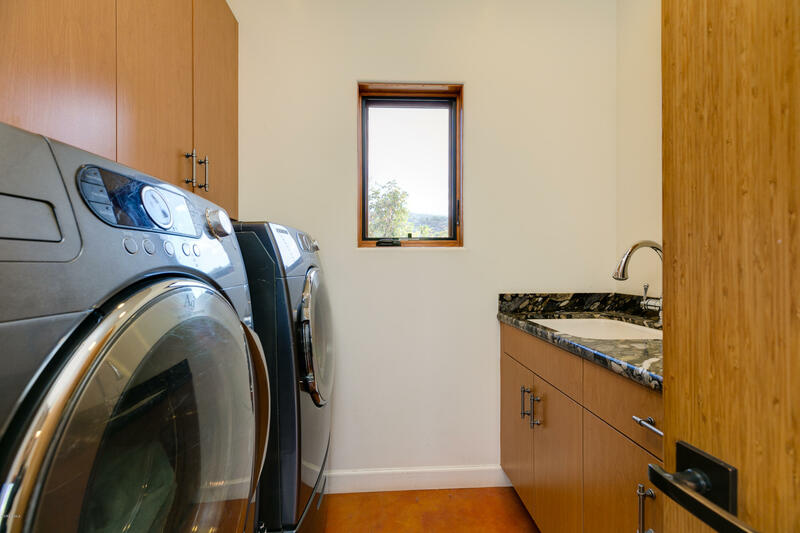 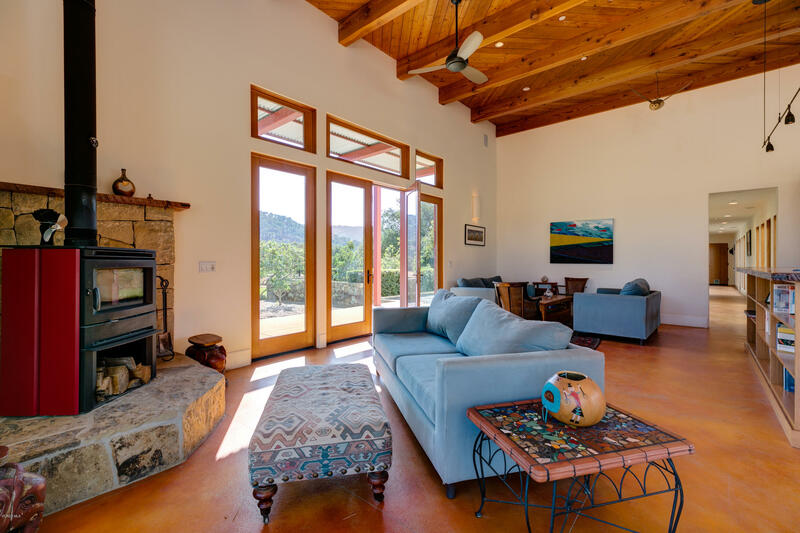 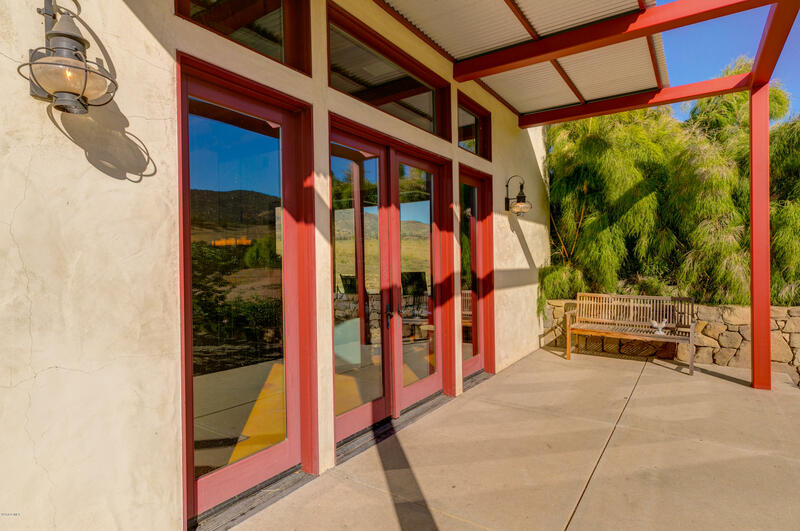 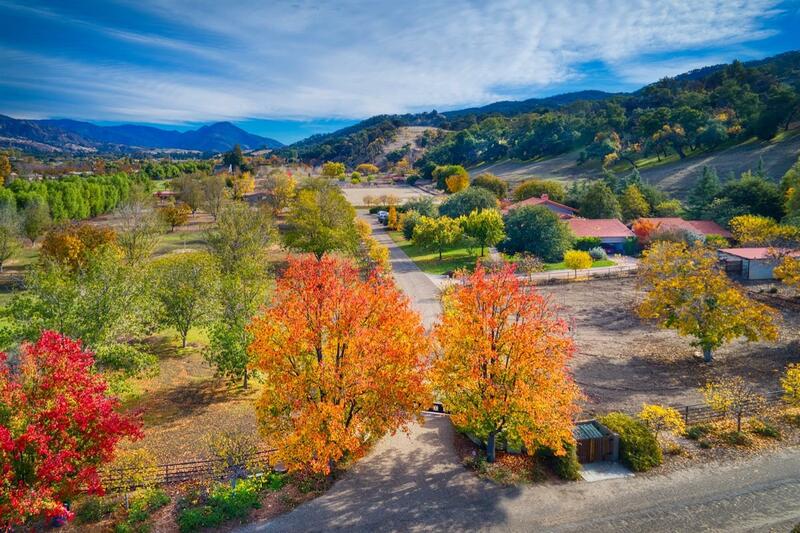 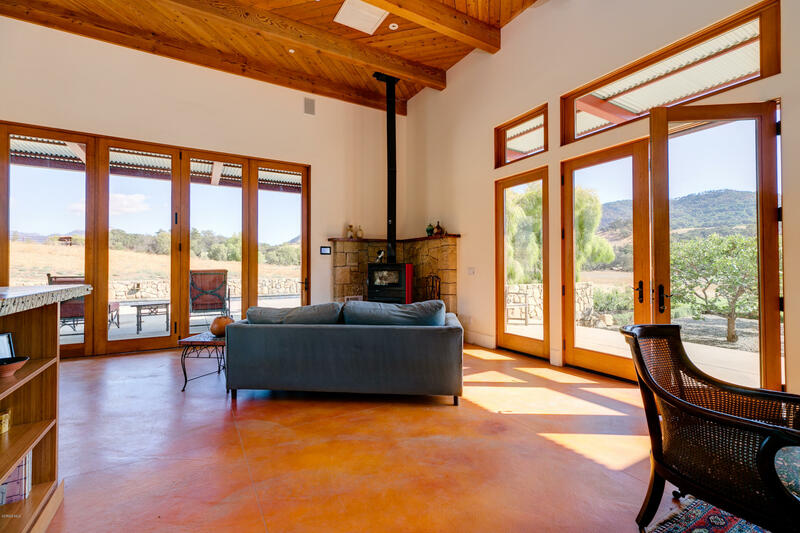 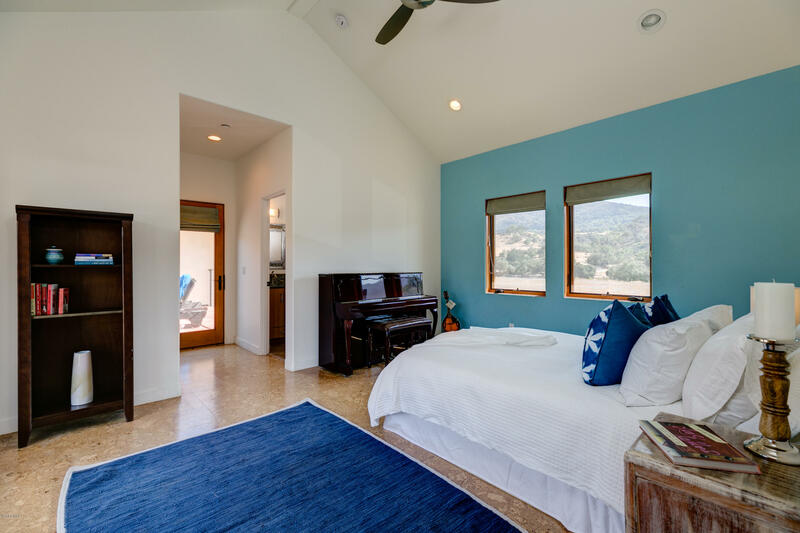 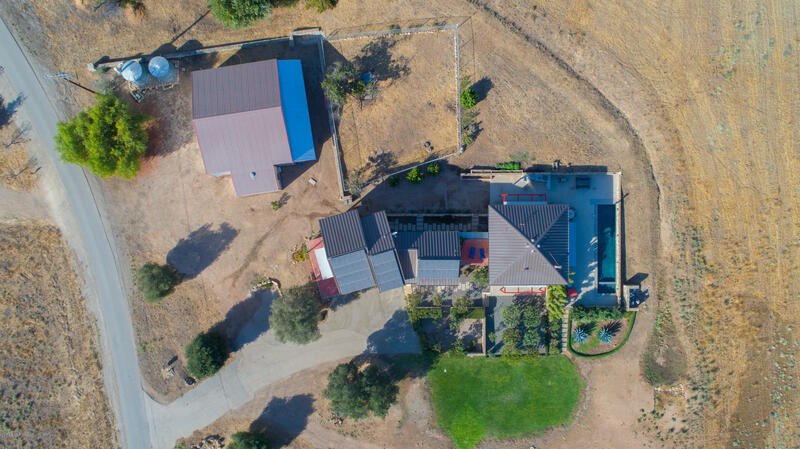 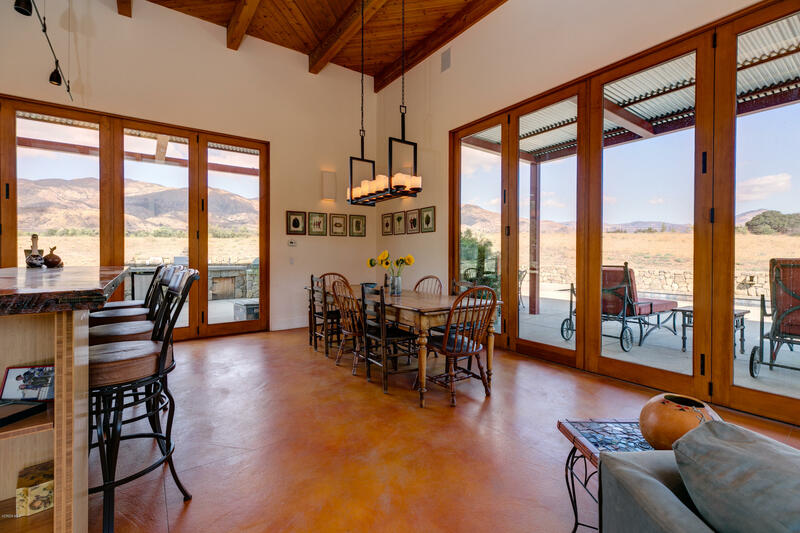 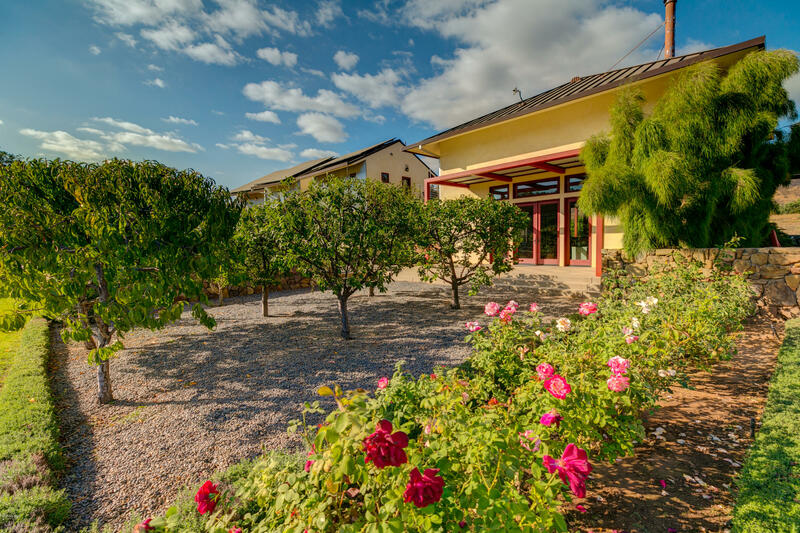 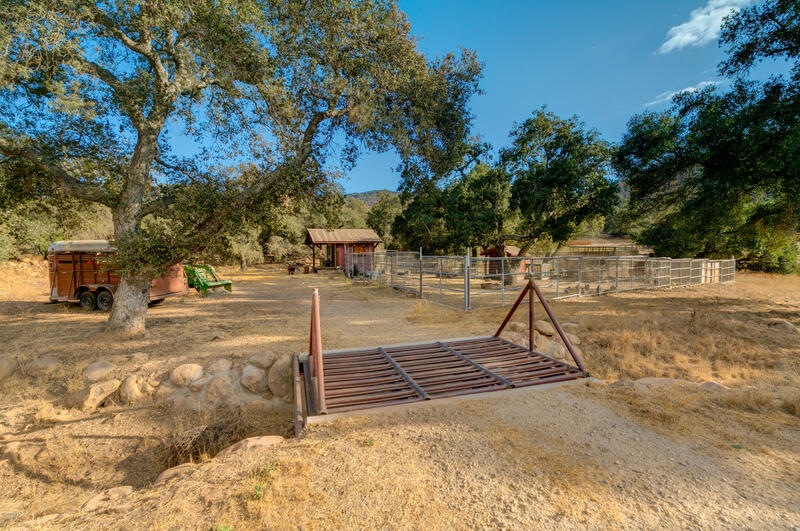 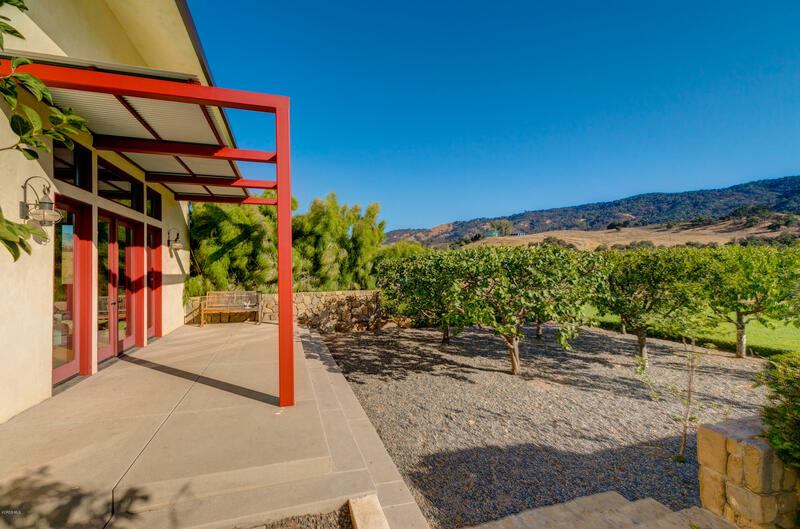 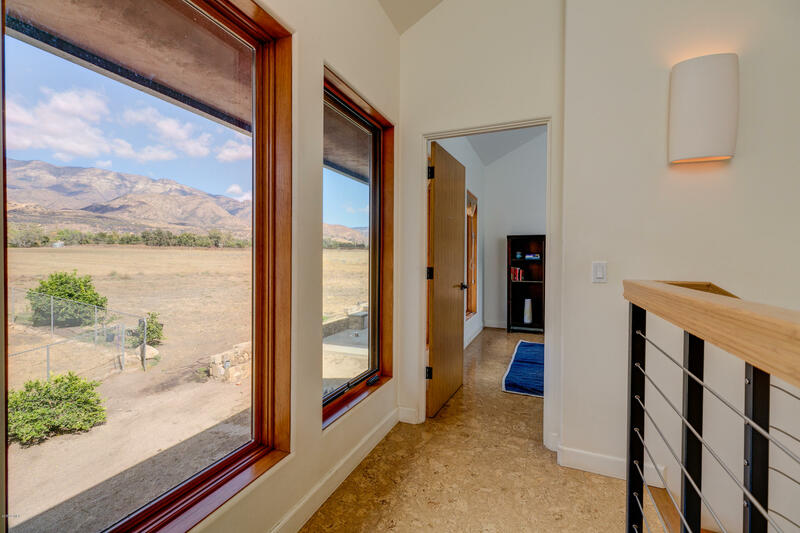 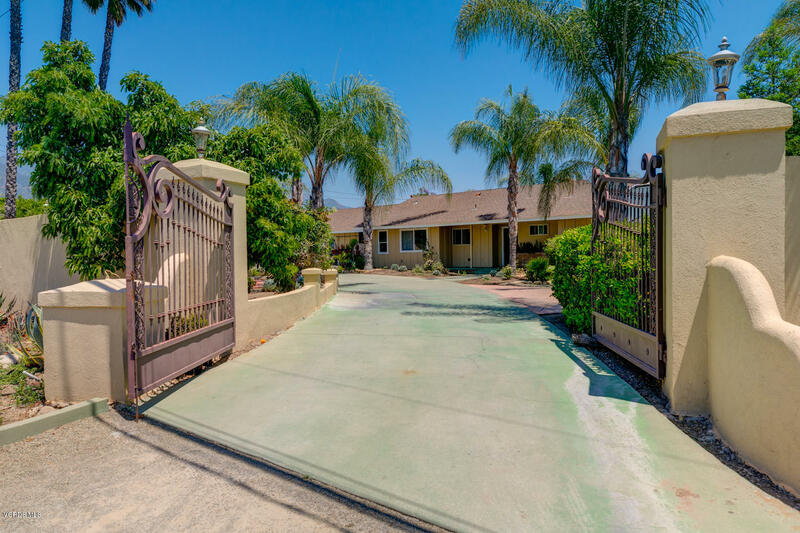 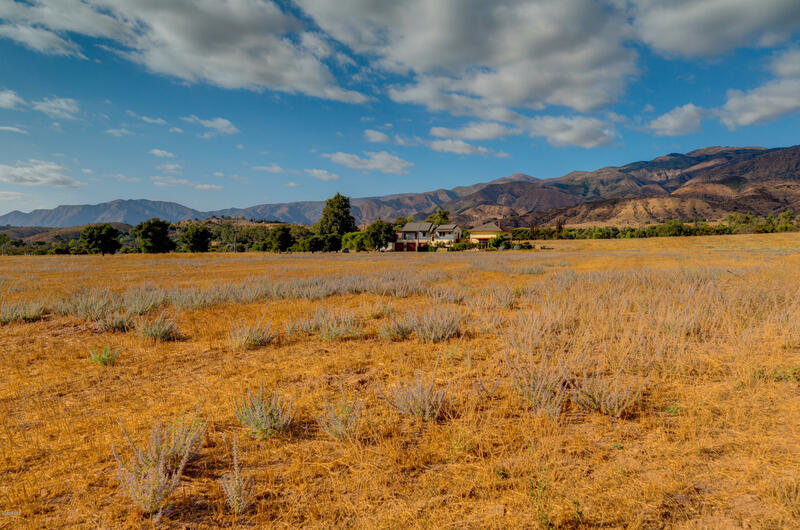 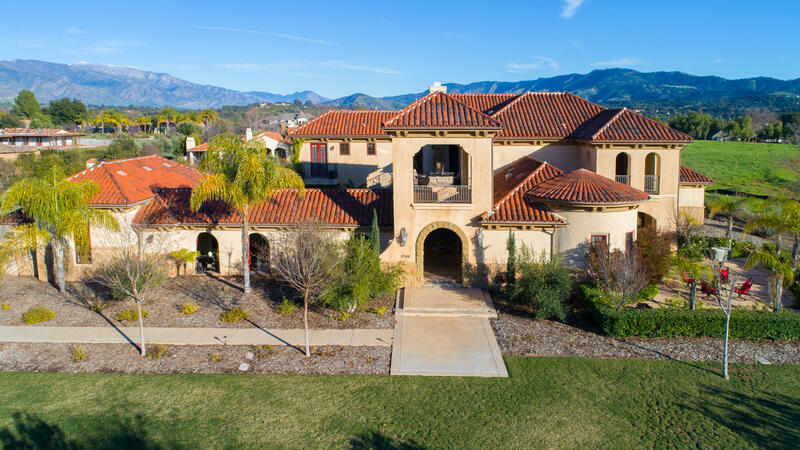 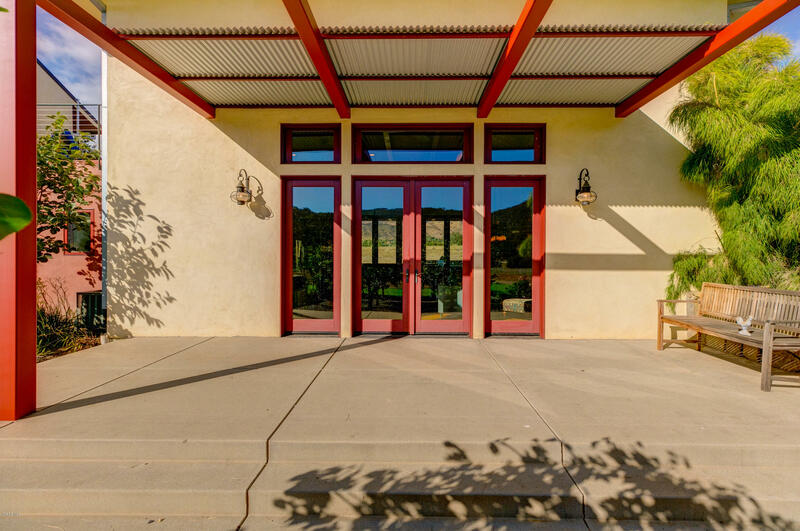 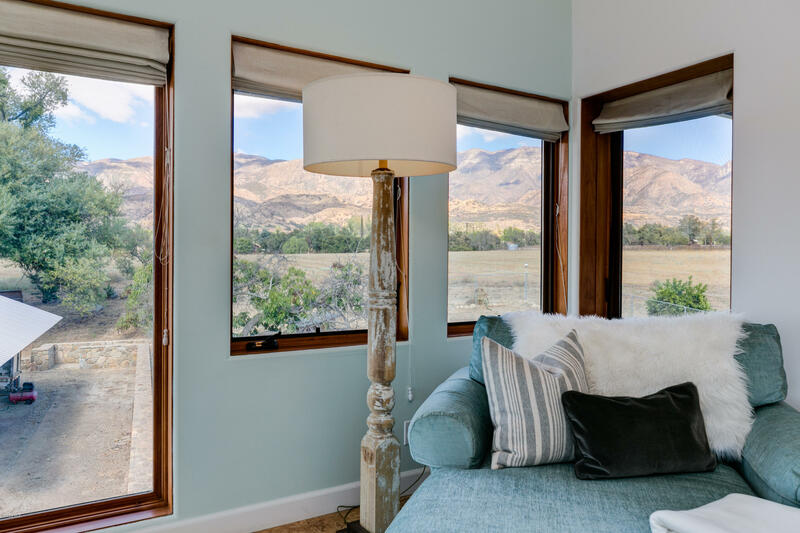 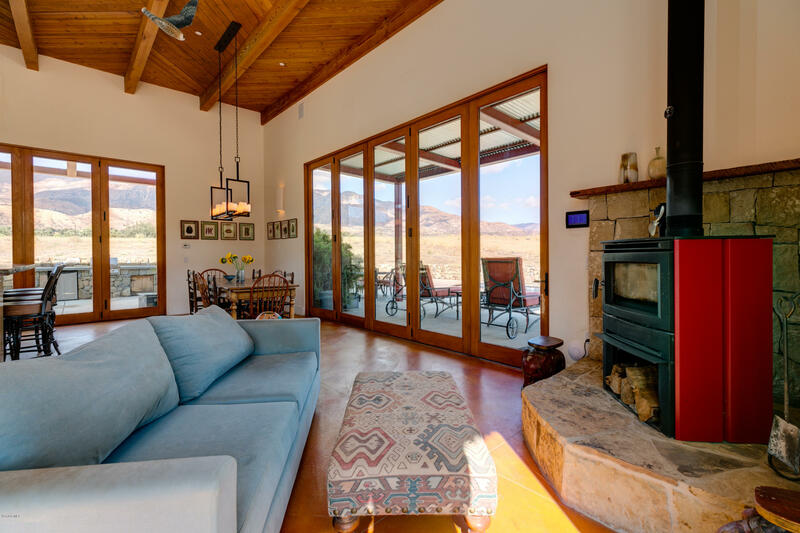 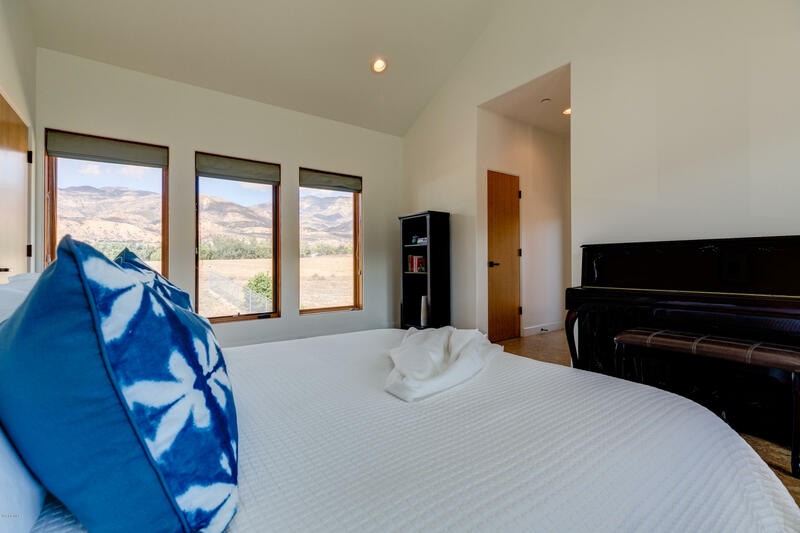 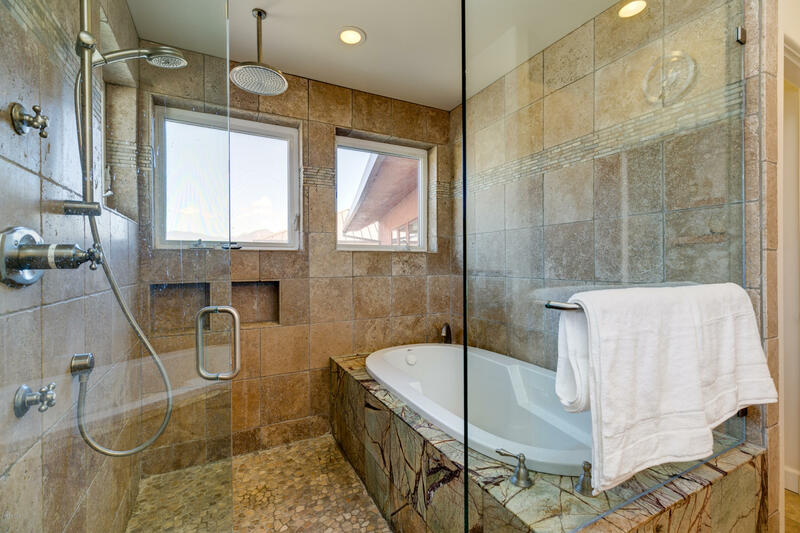 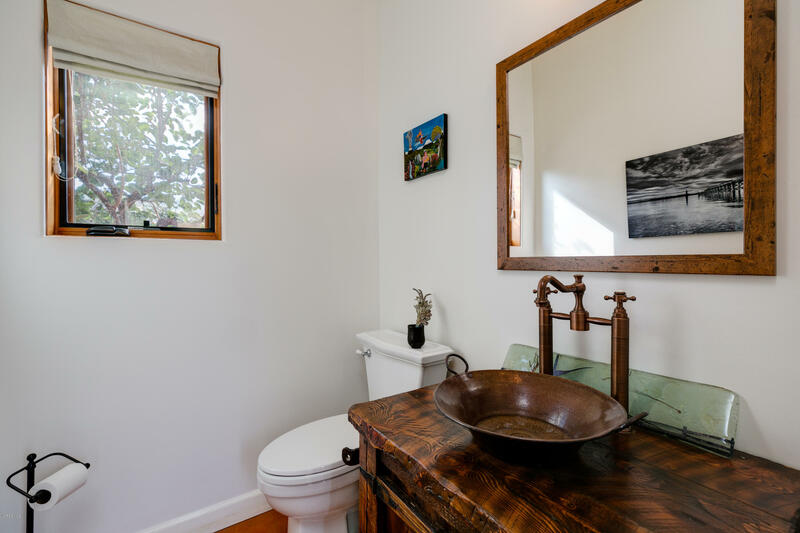 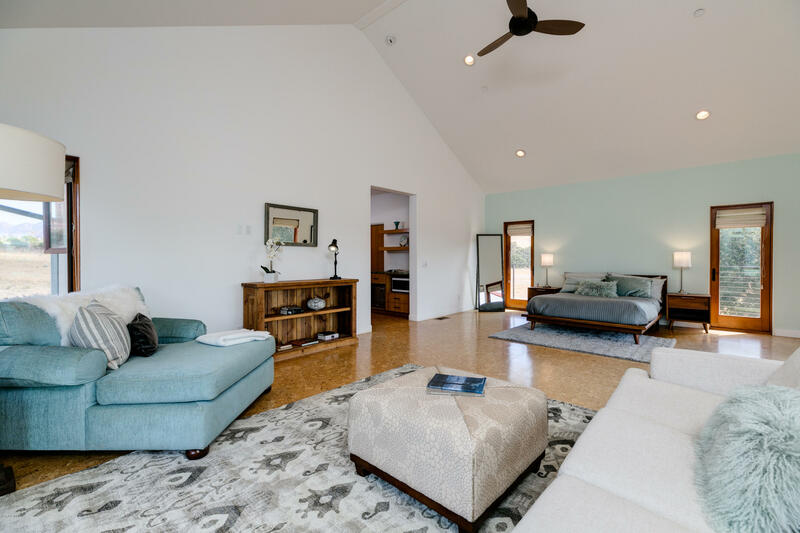 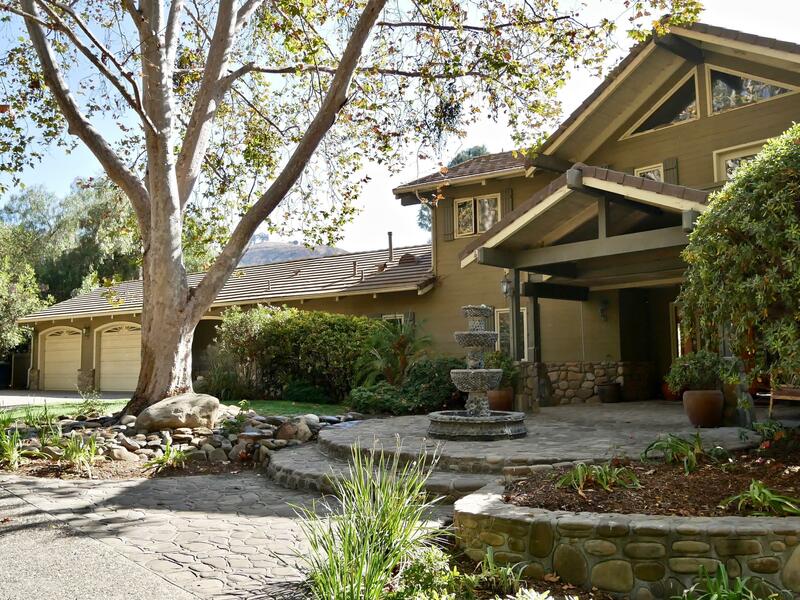 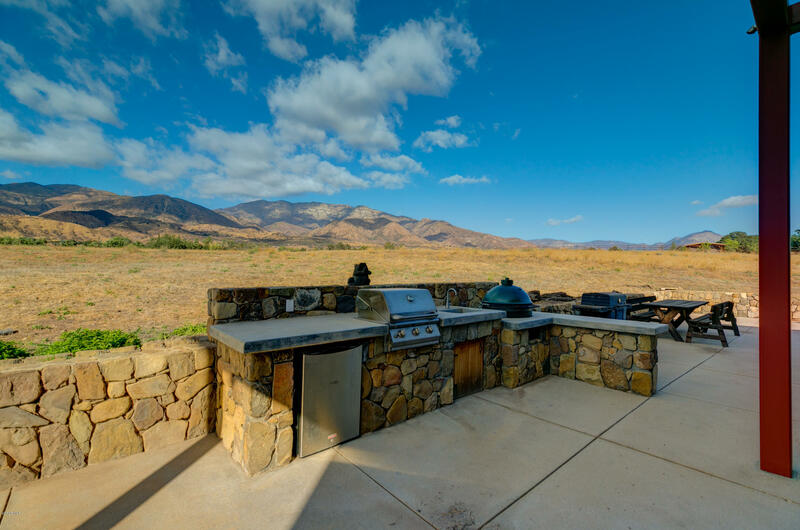 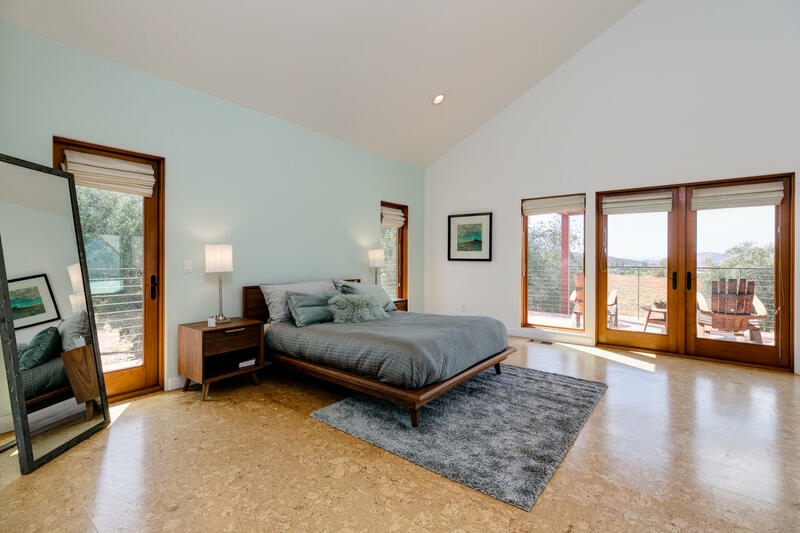 Surrounded by its own hay fields, sweeping views of the TopaTopa Mountain range, Chief's Peak, Sulphur Mountain and Santa Paula Peak, you'll feel you're in a world all your own. 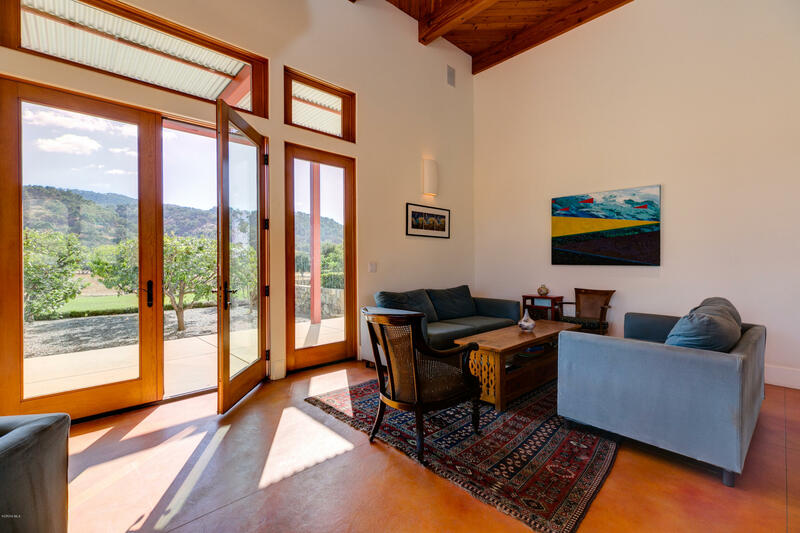 When you enter the great room, the stunning 16-ft. high wood ceilings and walls of windows and retractable glass doors usher the outdoors in. 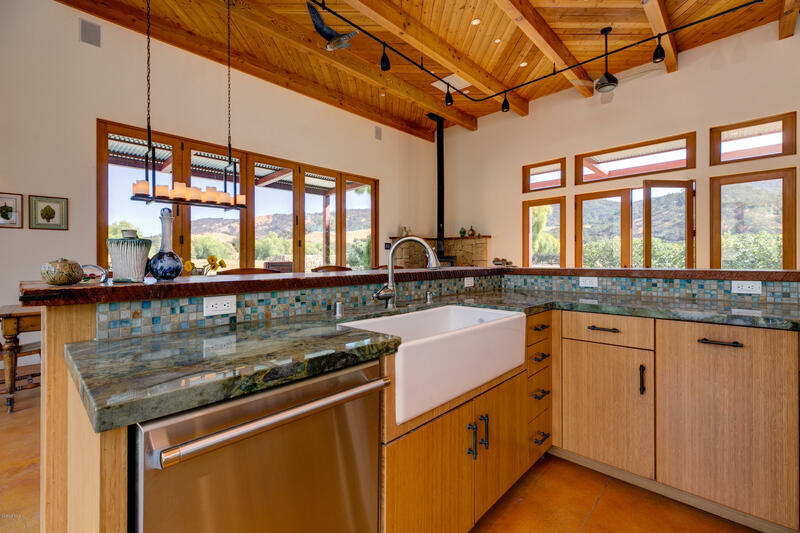 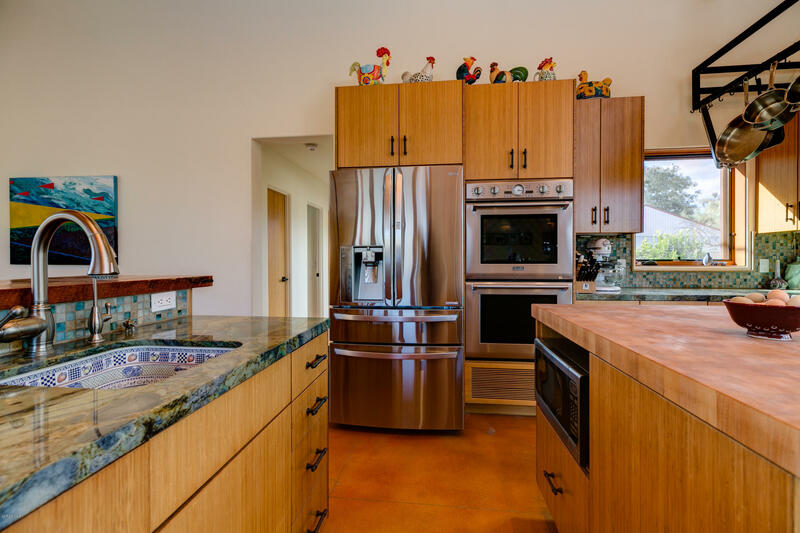 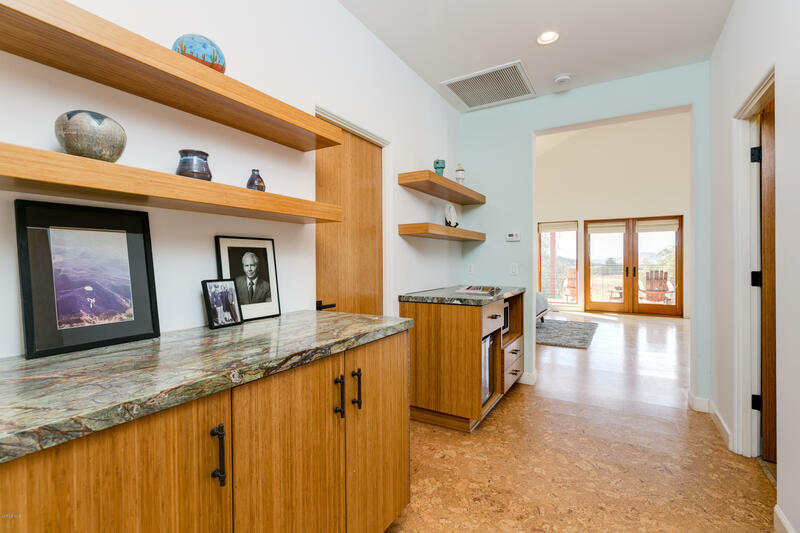 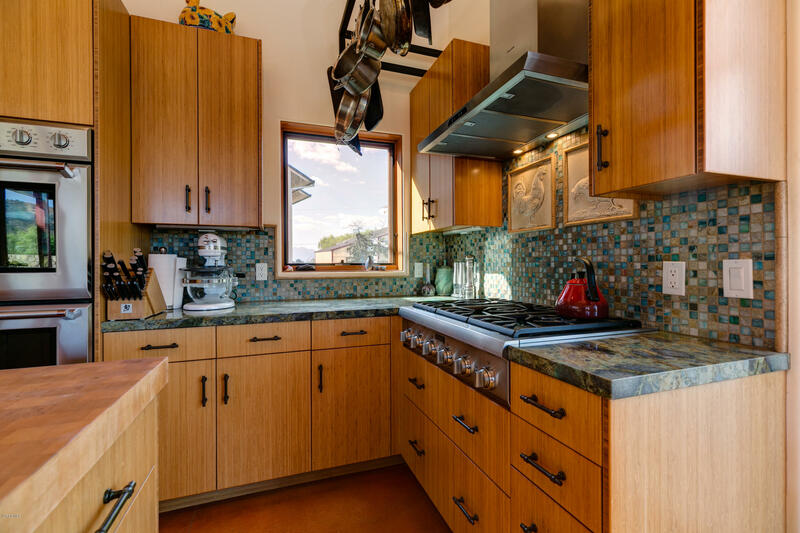 The kitchen features rustic reclaimed wood bar above gemstone granite countertops.Stained concrete floors downstairs and bamboo upstairs. 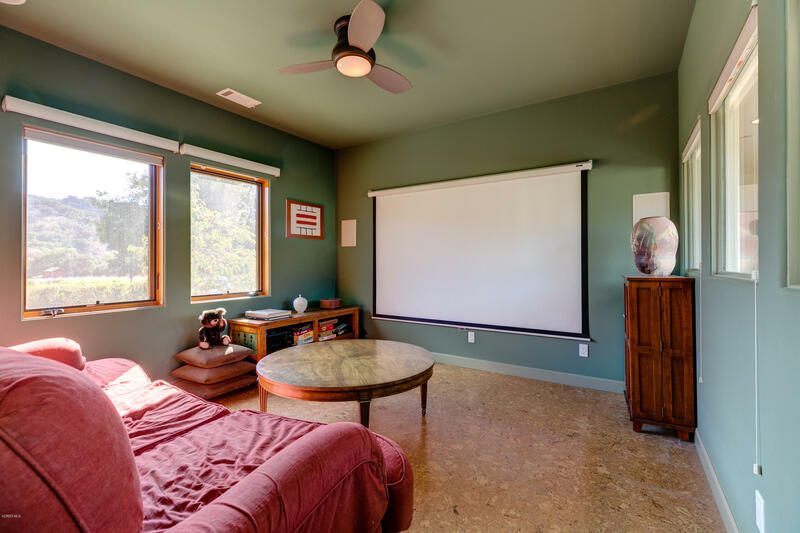 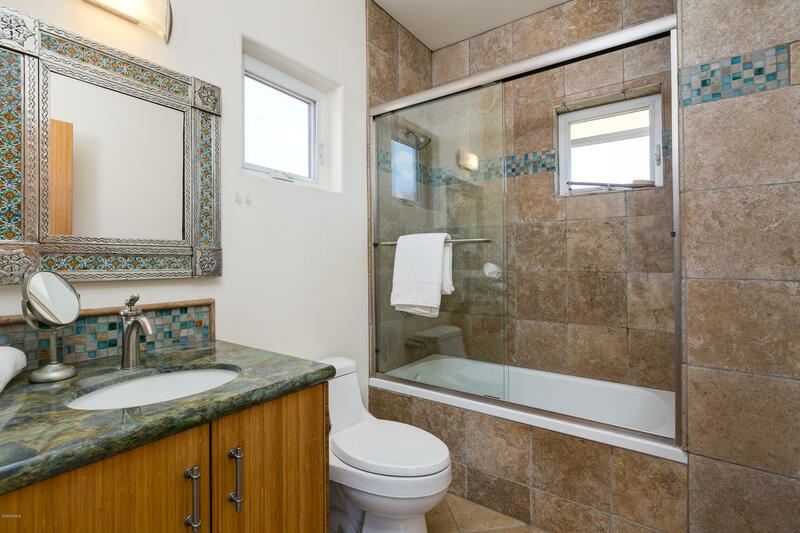 Media room with screen and projector.Spacious bedrooms w/view balconies.Solar power (owned). 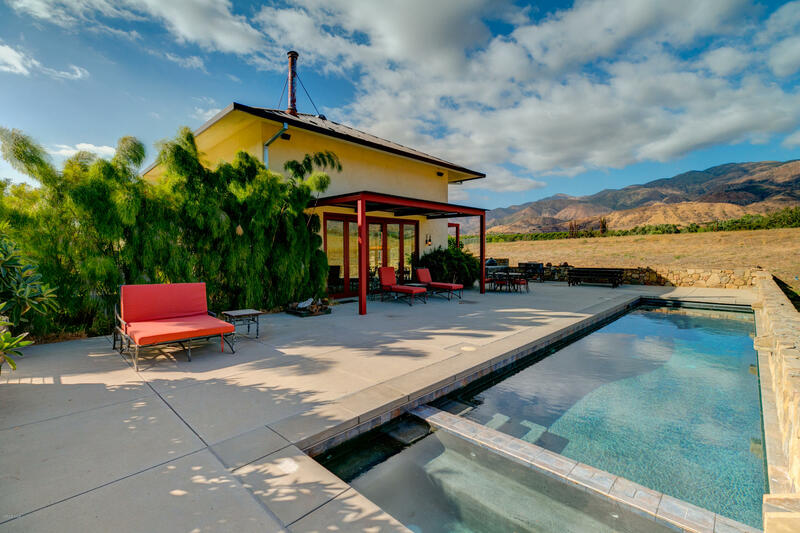 Lap pool. 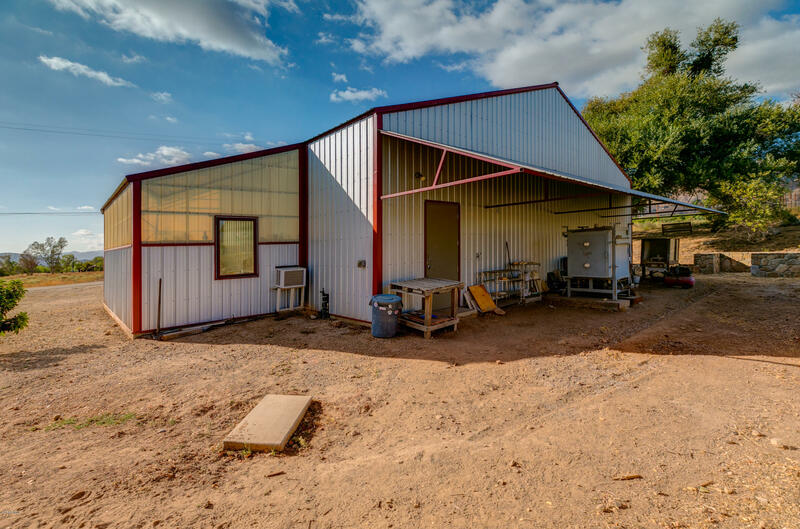 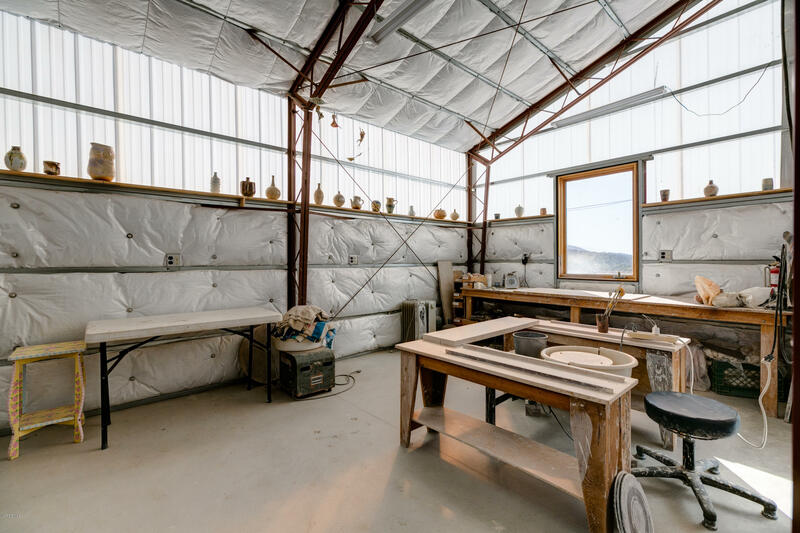 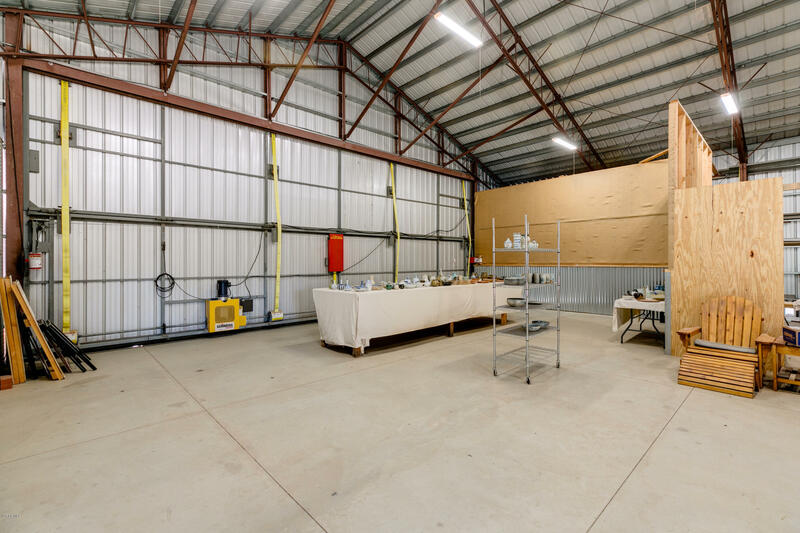 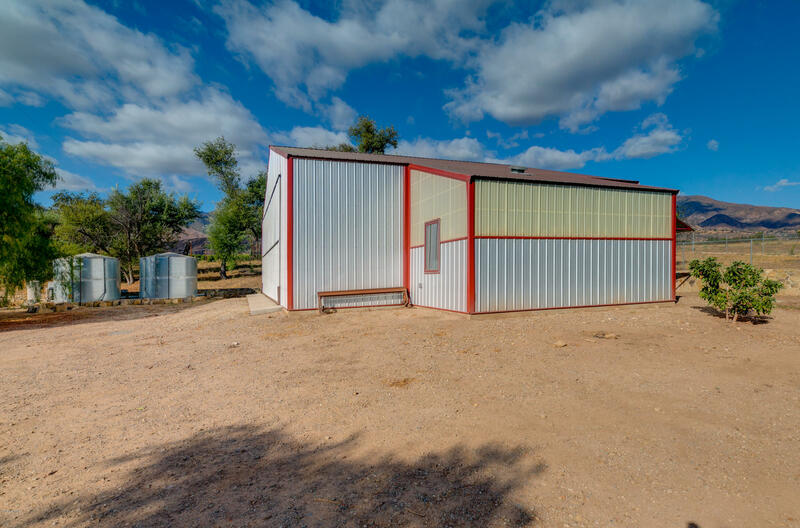 2020 sq.ft.barn. 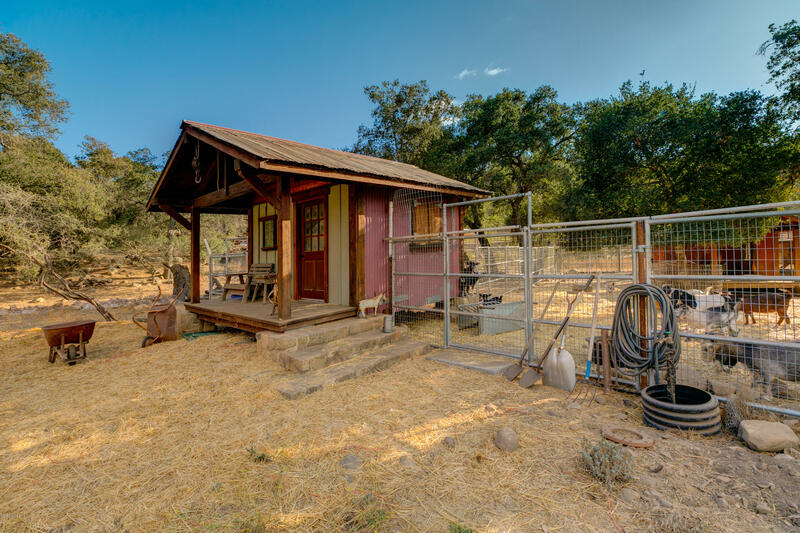 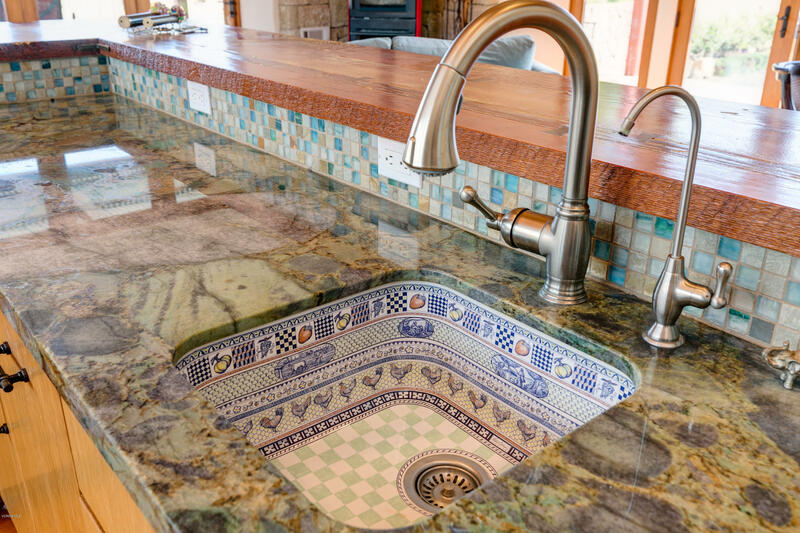 WELL and Casitas water meter. 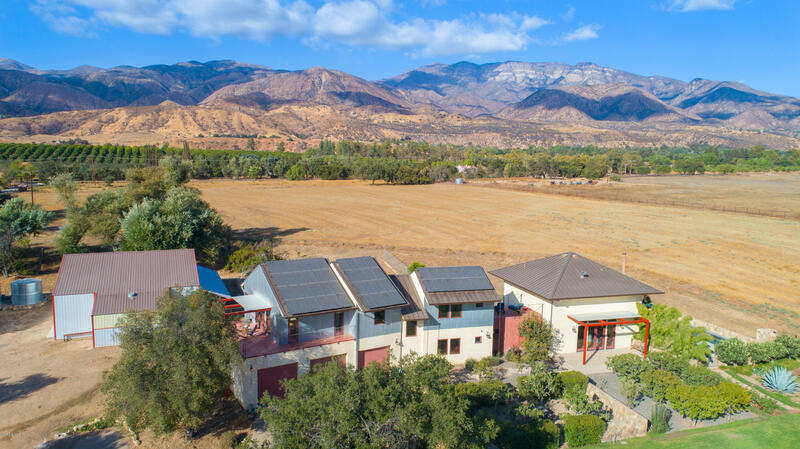 EV charging in triple garage.